If the Texas Legislature reflects the sentiment of Texas voters, Republican Ted Cruz and Democrat Hillary Clinton should do very well in their respective primaries today. Cruz, one of the state's two U.S. 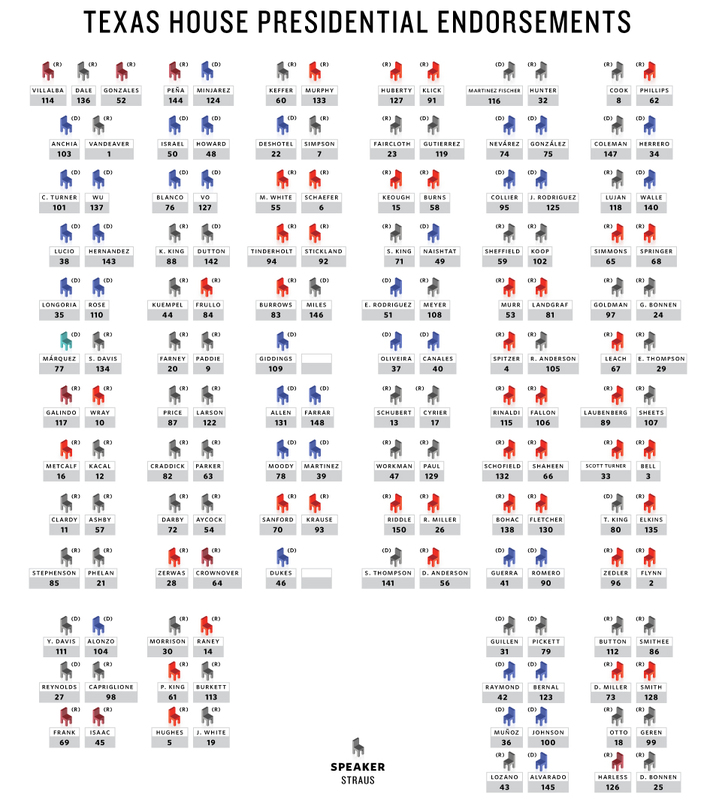 Senators, leads with the support of 54 members of the Legislature. 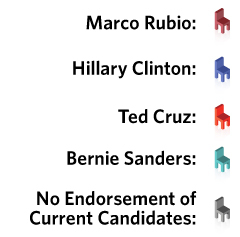 Cruz has also been endorsed by Gov. Greg Abbott and Lt. Gov. Dan Patrick. Clinton comes in next with the backing of 45 members. Lagging far behind the two frontrunners are Republican U.S. Sen. Marco Rubio of Florida, who has the endorsement of 8 members of the House, and Democratic U.S. Sen. Bernie Sanders of Vermont, who has the support of state Rep. Marisa Márquez, D-El Paso. Republican Donald Trump has not drawn the endorsement of any members of the Texas Legislature. 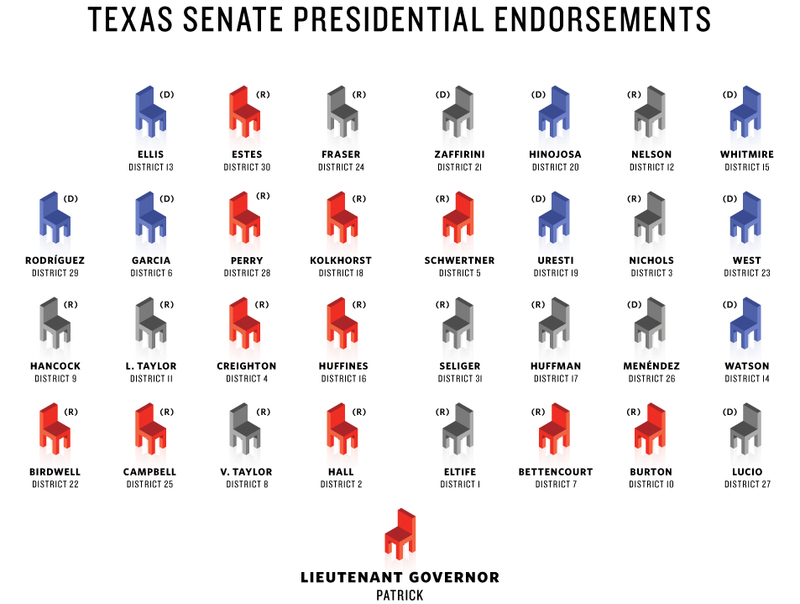 Correction: An earlier version of the Texas House Presidential Endorsements graphic incorrectly showed four House members supporting Ted Cruz: John Lujan, Morgan Meyer, Geanie Morrison and James White.